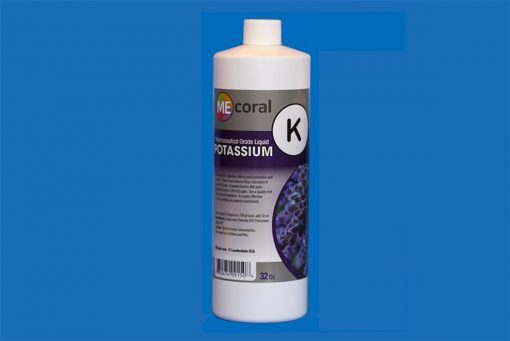 ME Coral Potassium (K) is a Pharmaceutical grade liquid Potassium for supplementing Aquarium Seawater. Potassium depletion can affect coral coloration and growth. 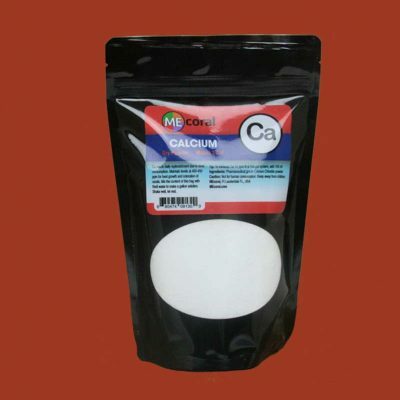 After the proper maintenance of Calcium, Alkalinity, and Magnesium at appropriate levels, Potassium becomes the next important number for best coloration in SPS corals. Target Levels are 390-425 ppm. Maintaining proper Potassium (K) can enhance coral coloration especially blues and purples in SPS corals. Natural Seawater is 390-400 ppm of K. Aquarium target levels are 390-425 ppm. Please use a quality test kit to measure depletion before adding ME Potassium. Excessively high levels are not beneficial. K is most effective when Ca, Kh, and Mg are maintained at appropriate target levels (Best done with ME Ca,Kh,Mg). ME uses the highest quality raw material, pharmaceutical grade. 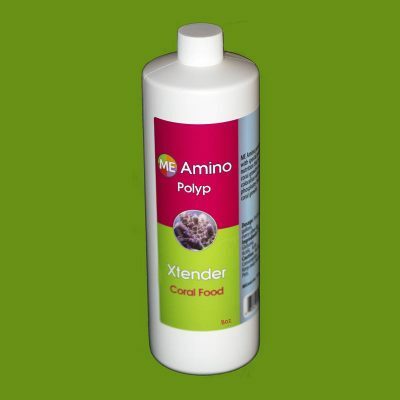 This reduces undesirable impurities that may exist in lower grades. 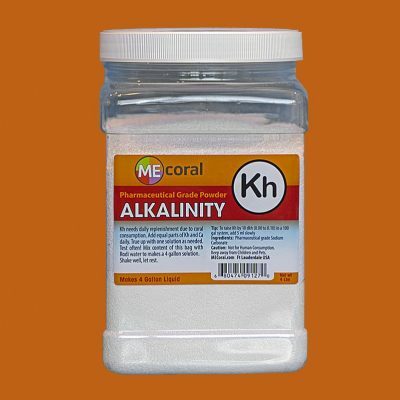 ME also uses both K Chloride and K Sulfate to maintain balanced seawater levels of chloride to sulfate. Caution: Not for human use or consumption. Keep away from children and pets.